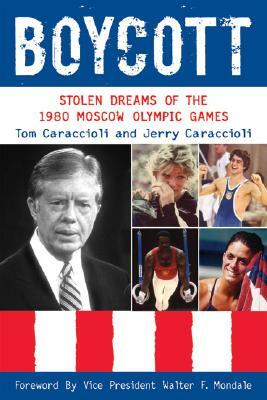 With a thorough exploration of the political climate of the time and the Soviet Union’s invasion of Afghanistan, this book describes the repercussions of Jimmy Carter’s American boycott of the 1980 Olympic Games in Moscow. Despite missing the games they had trained relentlessly to compete in, many U.S. athletes went on to achieve remarkable successes in sports and overcame the bitter disappointment of a once-in-a-lifetime opportunity dashed by geopolitics. Tom Caraccioli is the president of Lions Roar, LLC, a communications and public relations firm, and a former executive for NBC and USA networks. Jerry Caraccioli is a television network executive in the CBS sports division. They are the coauthors of Striking Silver: The Untold Story of America's Forgotten Hockey Team.